Following the changes introduced in England and Wales last year, an important piece of legislation is coming into force in Scotland next year. 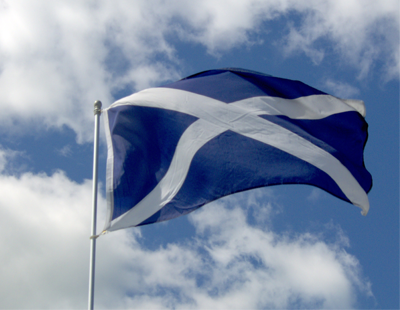 By 1st April 2020, any new tenancy in Scotland will require the property to have an EPC rating of at least band E, and by 1st April 2022, all properties will need to have at least an EPC rating of band D.
Whilst this seems a long way off, it is anticipated that lettings agents will spend much of 2019 informing Scottish landlords of the upcoming changes andmany may then choose to ‘set their sights’ on a band D rating from the outset. Landlords who fail to comply with the new legislation will face fines of up to £4,000 if their property’s rating is not up to the new standard by the deadlines set. 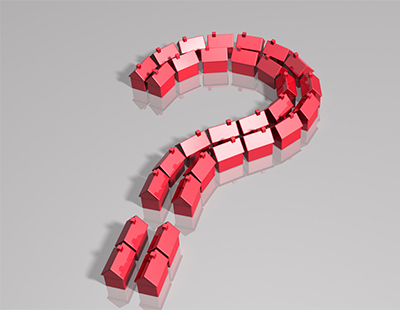 It seems that a lot of landlords still don’t understand the implications of the EPC legislation, what would influence their rating and how much it might cost to improve it.Research from Just Landlords revealed that only 24% of landlords were able to identify the criteria for apenalty fine correctly, and just 52% knew that improving the insulation of a property could have a large impact on raising their EPC rating. According to a report from Parity Projects for the UK Green Building Council, it’s possible for landlords to improve the energy efficiency of their property for £2,500 or less, which is considerably less than the £4,000 fine they could face. Landlords need to check how old the current boiler is and carry out regular servicing for each new tenancy agreement. Upgrading to a new condensing model, for example, can improve an EPC rating by 5 to 20 points, depending on how old the current system is. This is one of the cheapest and easiest ways for landlords to improve their EPC rating. If the property’s loft insulation is less than 270mm thick, landlords should consider updating this so that warm air from the property doesn’t escape into the roof space. By doing this, landlords can improve their EPC rating by a significant 10 to 15 points. It’s important to find out what material has been installed within the property’s walls – if any at all! If the property was built in or after the 1920s, adding some cavity insulation could give the EPC rating a significant boost. However, if landlords decide to complete this type of work, they need to keep proof that this has been done, or an assessor may assume that it’s not there and not include on the EPC certificate. Renewable technologies such as solar panels could significantly reduce energy usage and may even allow landlords to earn income from government's incentive schemes as a result of theadditional supply they generate. Switching lightbulbs over to energy efficient ones such as Light Emitting Diodes (LEDSs) is both simple and cost-effective to introduce. With less than a year to go before the new legislation is in place, it’s vital that all Scottishlandlords take the necessary steps to get their rating up to at least an E. Unless they do so, landlords will face the threat of a hefty fine and they may also risk having their property lying empty. Whilst some of these measures are more expensive than others, in the long run, they could save landlords thousands of pounds – and also make the property more attractive to tenants or even to buyers if the landlords decide to sell. Our recent Tenant Survey found that tenants are increasingly embracing “smart” living when considering which property to let: 82% of the tenants we surveyed said they look for double glazed windows and doors when choosing where to rent, while 43% look for loft insulationand 40% look for energy-saving appliances. Almost a third of tenants (30%) look for smart home upgrades like smart meters. Brian Moran is letting director at Your Move Scotland.